Mostly load .45 Colt and .38spl but also do .44mag, 38-55, 45-70 and now and then a couple different calibers. 700 for everything but the ammo. Lower Price 950.00 for everything. Forgot...... I have a single point sling I can let go with it also. Thanks for the offers guys. Found one. What are specs on the judge? I was wondering if you still have the Spikes AR you were trying to sell? If so I was wondering what price your asking now? I was looking for an AR for around $1000, when I saw yours. I'm know you can't let it go for that as is but perhaps without the scope it would be acceptable. Just let me know what you need for it with & without the scope and I'll see what I can swing. By the way I emailed you earlier, (Sorry if I seem to be going overboard with the messages!) but I was unsure if you would get it. 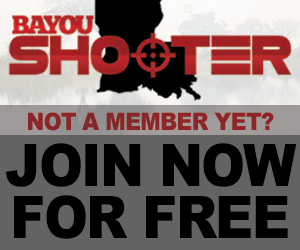 I'm new to BayouShooter and didn't realize sending you a PM may be a more efficient way to contact you. Any way, thanks for your time in advance. Well, The name is Joey. I live in Pearl River, LA. Love shooting and tinkering with guns.